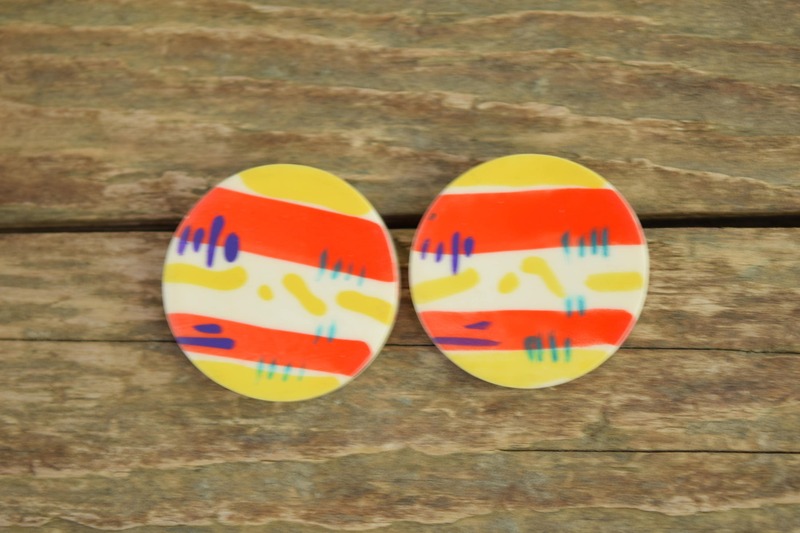 These bold and bright round earrings will easily complement your favorite heels, whether red, yellow, purple or teal! 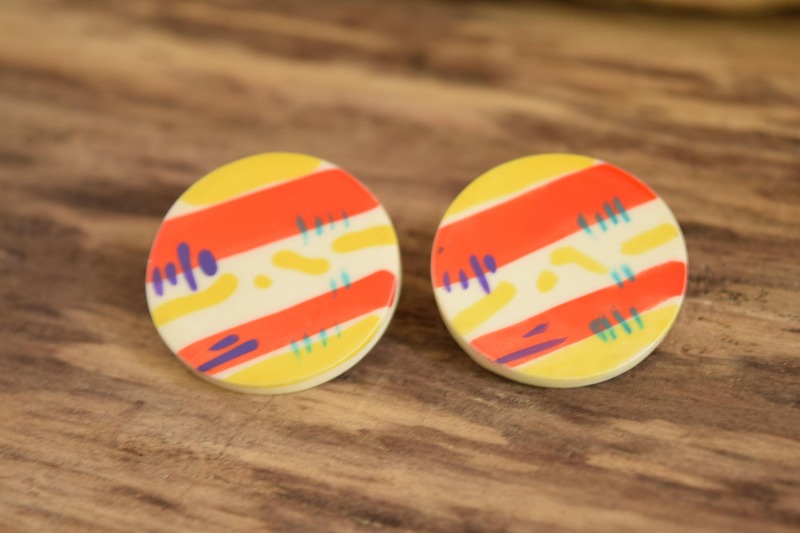 They feature a lightweight design and combine abstract art with fashion for a funky, yet modern look. Rock them with leather or your favorite prints for a unique look that will make your day brighter! Condition: Good previously owned condition. 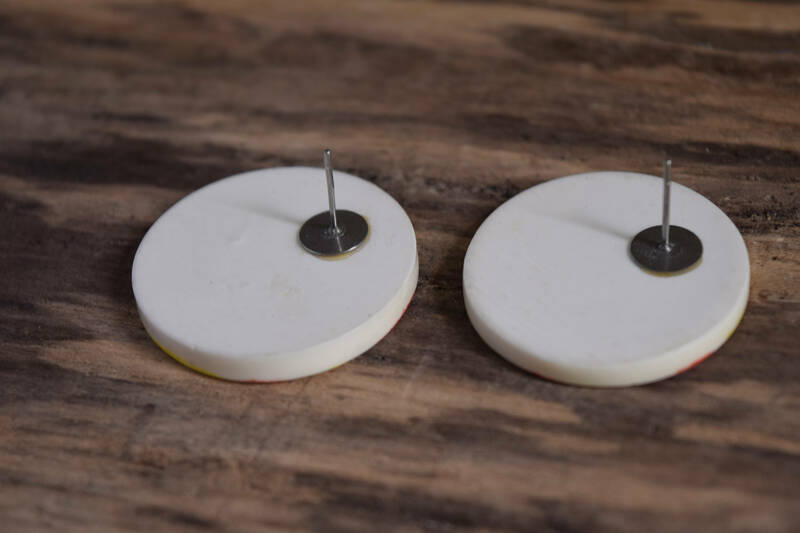 Minor surface scuffs and wear consistent with age. 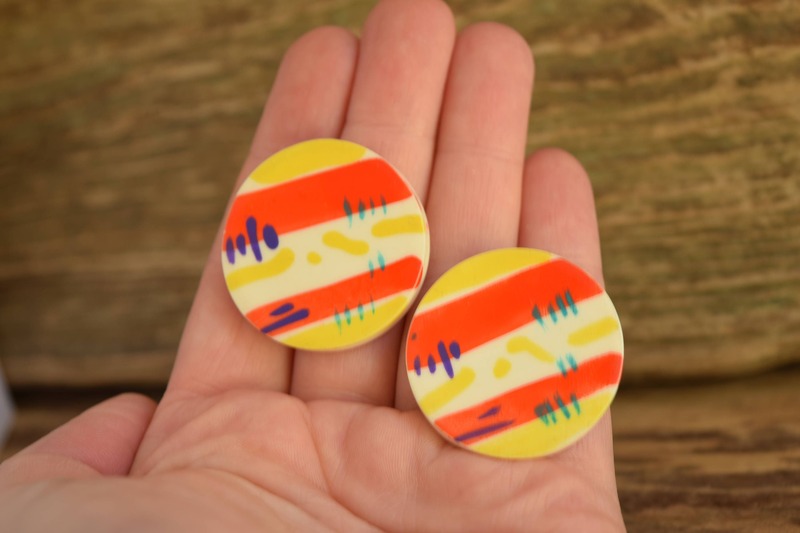 Slightly bubbling in resin or paint and uneven surface on the back of one earrings. 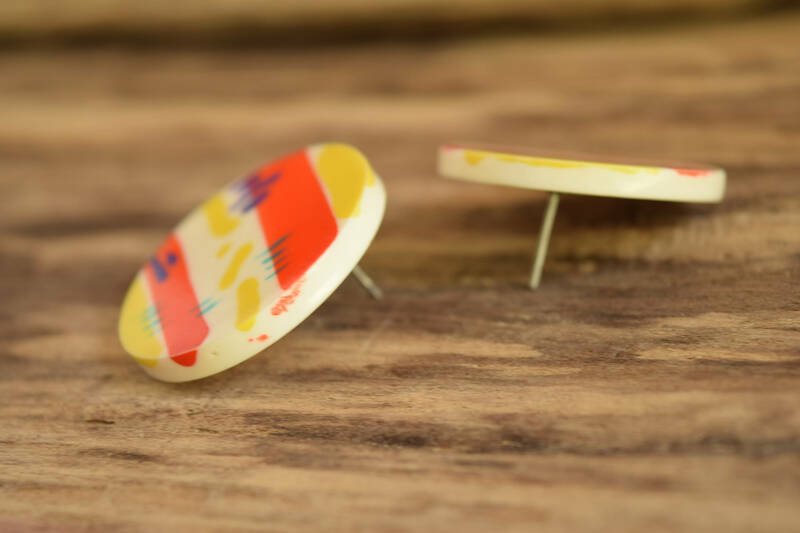 Paint wear is visible on edges of earrings - specifically red stripes (small chip on edge) but no paint damage on flat surface.